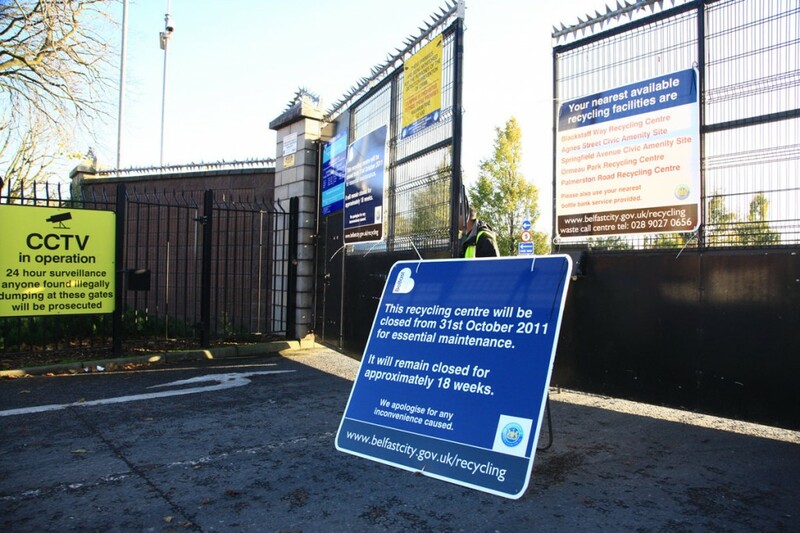 NORTH Belfast is to be left without a recycling centre for up to 18 weeks despite local authorities spending millions of public money encouraging households to recycle.The Alexandra Park site has closed for “essential maintenance” with no local alternative being provided. The move means that locals hoping to bring items to be recycled will be unable to do so, the nearest full centre for North Belfast residents to recycle will be Blackstaff off the Kennedy Way in the west of the city. The North Belfast News spoke with the council’s Recycling Manager Matt Ewing, who said some recycling options remained available for locals. “Unfortunately we have had to close Alexandra for essential maintenance to take place, but we will still be able to collect larger items through our ‘bulky waste’ service. A council spokeswoman said: “We’ve had to temporarily close Alexandra Park Avenue recycling centre until March 2012 so that essential maintenance work can be carried out. We apologise for any inconvenience caused to local residents however they can use any of our five other sites in the city, and there are also several glass recycling points in the area.